Itchy skin, due to Keto? I'm so glad you posted this topic. Sunday morning I woke up with what I have believed to be hives on the back of my neck. I racked my brain trying to figure out if it is a reaction to something I ate or perhaps touched. I could not think of anything different I'd been eating or using. This morning it's still there, so I took a Benadryl. Then here I am reading this. Perhaps that's what's happening to me. I sure hope it goes away soon. I'll take a guess about what you wrote. On your previous diets, you were loosing weight, and dipping into body fat, and releasing toxins held there. So your doctors were right, in some sense that rash was due to diet. It wasn't from external irritants, it was from internal irritants. Then with Keto, and cutting calories, the same thing. 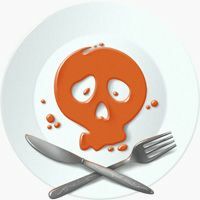 Now that you've upped the calories, and your weight loss has probably slowed, you are perhaps releasing the toxins at a slower pace, slow enough that you don't develop a rash. Carol on the collagen..its just NOT necessary. If you REALLY want it..do the really smart thing and get some cheap unflavored gelatin. its the same thing..lol. I bought into the expensive stuff for one month. made ZERO difference..and when i found out its just gelatin powdered a bit more, i was a bit upset that i'd spent the money and not done my research. IF i every wanted to try it again i'd go to the local mennonite bulk food store and buy a pound of the gelatin. but it was disgusting, hard to swallow down, and with zero results, not gonna happen again..lol. Kathleen..it takes a while to start losing it with the deficit, and it take a while to grow back after you start eating what your body needs. I was NOTICEABLY losing my hair. as one who has always had long, triple thick hair..it was quite disturbing to me. it was coming out by the handfuls. I had more than one person asked if i was getting chemo...it was that bad. when I started eating correctly, it stopped falling out..and its just within the last month or so people are noticing its getting thicker again. I think it must have to do with the no carbs added to too few cals, because my whole life i ate under 1000 cals to try and lose weight (never worked..so much for CICO) and never lost my hair. but the combo of no carbs + low cal was devastating. This is interesting. I have a history of extremely low calorie and other times very low carbs through out years-actually a vicious cycle of dieting and no long term progress.. I had the rash on my upper chest and it was really hard to get rid of it. Had it checked by two doctors and they both told me it was due to diet. But no other explanation. It was red and bumpy and itchy. After being low carb and higher calories (2000 daily) it finally went away after three months. Can't say for sure why or what it was but it may have been the KETO rash. Not sure. When I started KETO this year 2018 my calorie intake was too too low (thinking I would lose faster) and although I learned to up the calories a few months after I started I think it effected my hair. I have had a problem with hair thinning over the last month. It seems to have stopped because I have upped the calories and started using chemical free shampoo & conditioner. It's all a guessing game but if it is from weight loss it will come back. But I find it a little scary when my hair is falling out. Had this happen after surgery too and it grew back even thicker. I was afraid of that, Holly. I usually just stop eating when I'm full and rarely meet the recommended calorie benchmark. Anyone taking Collagen Peptides as a protein source?.Cuz what I really need is another canister of stuff to sit on the kitchen counter! I had no rash, but the hair thinning and loss is usually due to too few calories..those that do TDEE arent reporting hair loss but those eating at a deficit do. I had major hair loss till i upped the cals..now its growing back in..worth it to me to eat more!!! This is really fascinating! Makes sense that burning fat would release stored toxins! Does anyone take Collagen Peptides? Speaking of things stored in fat, our body also stores estrogen in fat. And turns into a vicious cycle of storing estrogen signals storing more fat, which stores more estrogen, which triggers more fat...etc, etc. When we burn the fat, we release extra estrogen. For women, that means our cycles can be really messed up. It took about 4 months for my cycle to be back to "normal" and that was with birth control pills. I also have some skin issues before keto, which do seem to be a tad bit worse. They come and go, so I can't correlate it all to keto. That's really interesting... and I hope I don't get it! 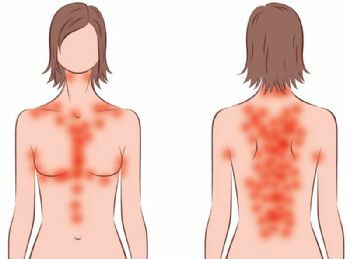 I had pretty severe Keto Rash (Prurigo Pigmentosa) early on in my journey. Skin rash - and three to four months before it fully cleared up. Cat, skin rash, or lymph nodes? How long did it take to clear up? That's happened to me, too, but I never realized this was why. Interesting. 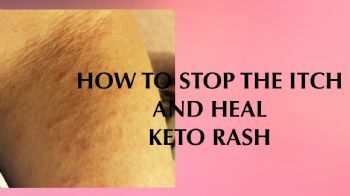 Oh, I forgot, you can google "Keto Rash". My wife had itchy skin for the first months of eating low carb. As near as I can tell, body fat is a place that to body stores toxins ... out of the way, like in a deep mine. If you start to loose weight, the body fat is being used, and the toxins coming out of the fat cells are faced. This may well be one reason that body fat loss is hard. The body gets rid of toxins in a number of ways, but one of them is through the skin. The skin regenerates itself about once a month, so this is a pretty good place for toxins to go and then be "shed" off. A side effect of this is skin irritation. "The lymphatic system is a complex drainage or “sewer” system that consists of glands, lymph nodes, the spleen, thymus gland, and tonsils. Its role is to cleanse our cells by absorbing excess fluids, fats, and toxins from our tissues and into the blood where it can eventually be filtered out by the liver and kidneys." Exactly where I think toxins go in humans.